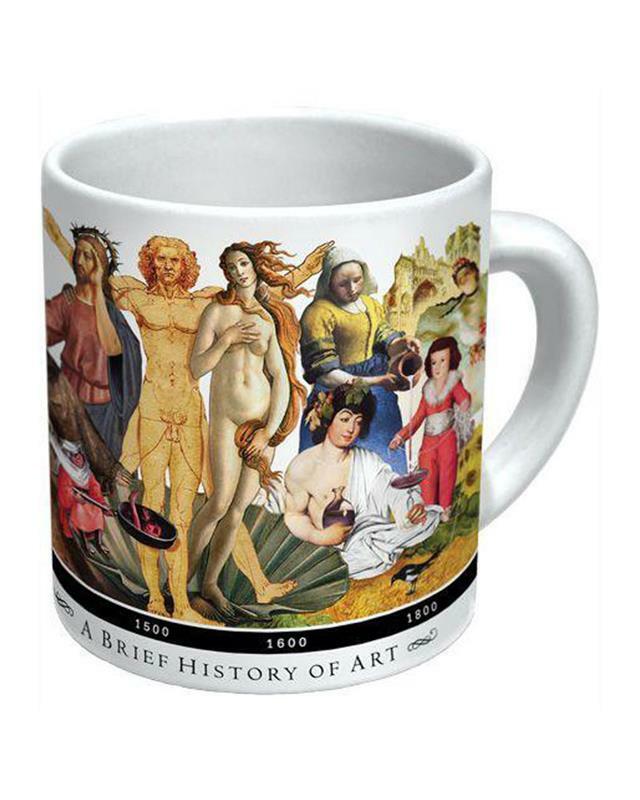 The Brief History of Art mug is a crash course in some of the world's greatest artwork. It has 24 images on it representing the evolution of art over the millennia. The bottom of the mug has detailed information on each of the works of art. 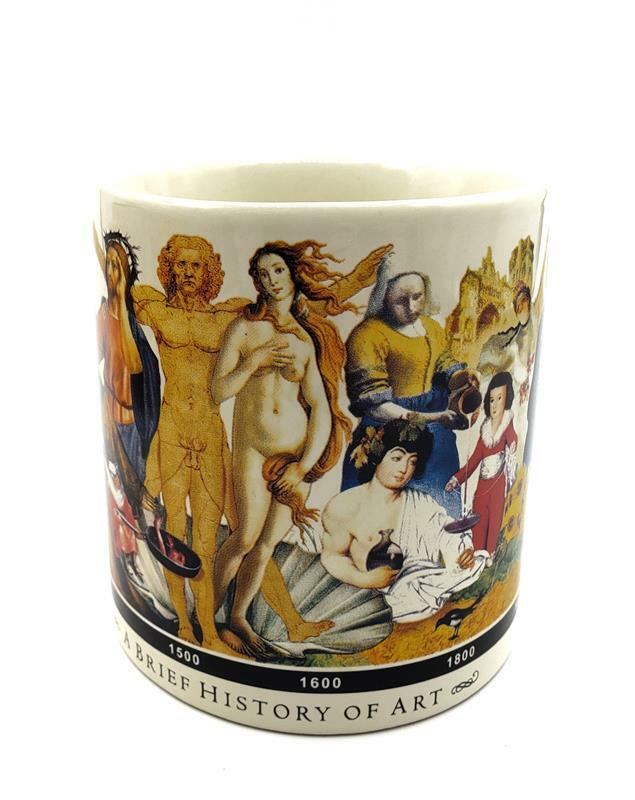 This mug is decorative, educational and great for the art history buff. Capacity: 16 ounces.